Setting the right price for your products or services can be a real challenge. If you set the price too high you risk people clicking away to another site. If you set your prices too low, you might attract buyers, but you will be lowering your profits. And if you offer services and quote a price, you probably feel you have failed when your client says “that’s fine” because that implies you could have pushed for a higher price…! Setting prices is tough. There are several ways you can set prices but ultimately people use two differing sets of subconscious theories when deciding whether to buy. 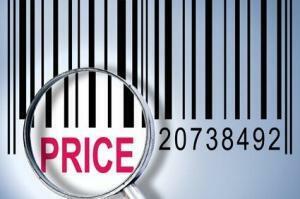 One consideration is whether the price reflects quality, the other notion is that price represents a bargain. Much advice on pricing therefore suggests that you should ensure that you set high prices for quality items – otherwise people will not think you are actually selling something of real quality. Similarly, pricing theory implies that if you want to show you are selling a bargain the price you set needs to be truly low for the kind of product or service you are selling. The problem is that you can send confusing messages and new research shows that if you do this you can reduce your chances for sales. If you are trying to set a “quality price” then everything else you do has to be congruent with that. You can’t sell “quality” priced items from a “bargain” looking website for instance. Similarly, if you have a really good, professional website, you’ll find it tough to sell things at the “bargain” end, resulting in your “special offers” not flying off the shelves. Essentially, if you want to set quality price points then EVERYTHING you do has to be quality too – a quality website, quality phone answering, quality emails, quality customer service and so on. Equally, if you want to focus your buyer’s mind on bargains, then you need to avoid too much subconscious awareness of quality, otherwise people will see your item as “poor value”. Ultimately, the price you can sell items for depends a great deal on many things, other than the product or service itself. It depends upon what people think of your entire business and the web experience you provide. If you want to get higher prices you may well need a much better website, much improved customer service and a quality brand.